For anyone wishing to visibly reduce wrinkles and fine lines to restore younger-looking skin. 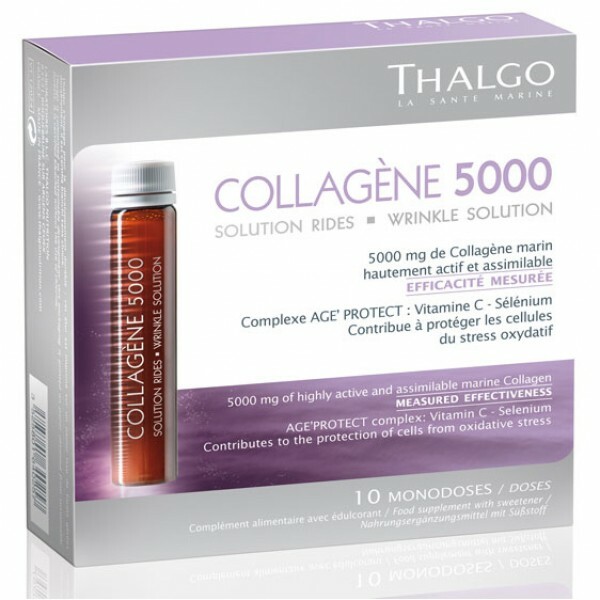 Thalgo's nutricosmetics innovation, Collagène 5000, is a comprehensive wrinkle correction solution incorporating the latest scientific advances in anti-ageing, which have highlighted new oxidative processes responsible for cell ageing. 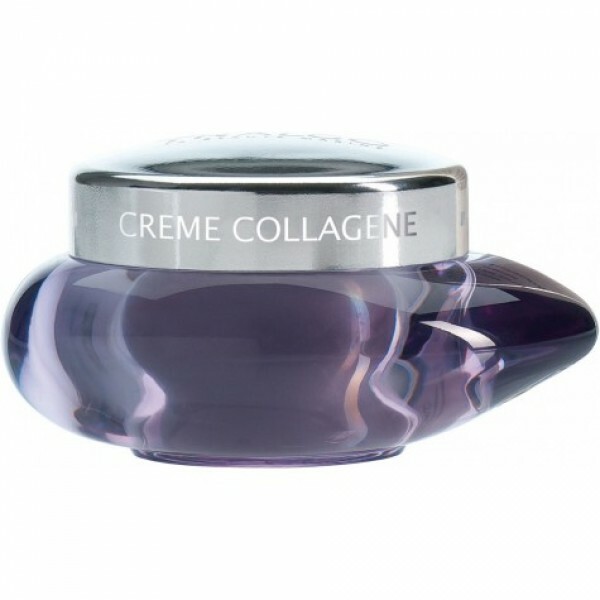 Its exclusive formula contains 5,000 mg of easily assimilated marine collagen hydrolysate, for which the effectiveness in reducing wrinkles has been clinically tested. AGE PROTECT complex, combining Vitamin C and Selenium, helps to protect the cells from oxidative stress. 1 single dose per day, to be taken in the morning before breakfast. Drink pure or diluted in a glass of water.